To celebrate our new achievement with an old friend like you, we would like to introduce our latest craft for you: The R5 series. 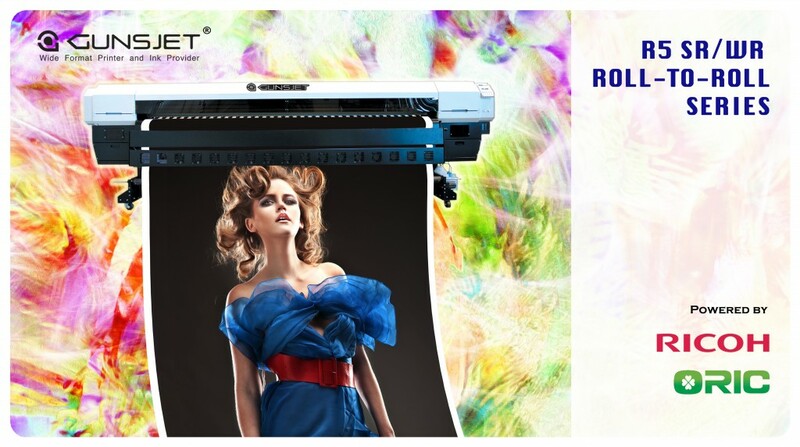 The R5 series includes SR/WR, LED-UV Roll to Roll and UV flatbed, three types of functional printers. 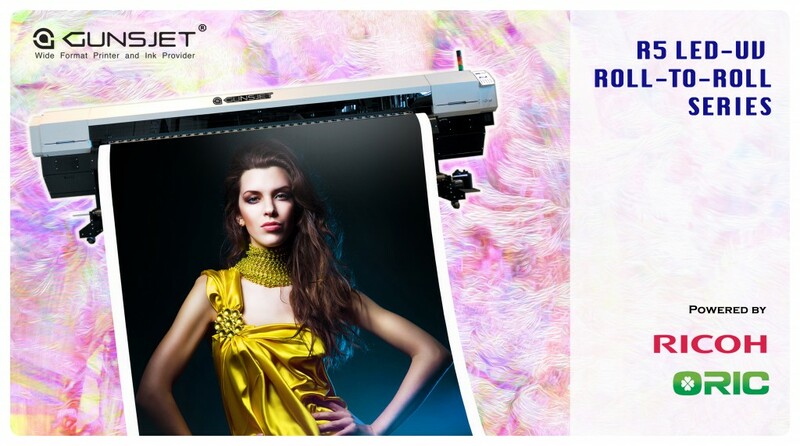 With the latest Ricoh Gen5 printhead, it doubles the printing speed of Gen4 and provides superb images with a rich range of color graduation. 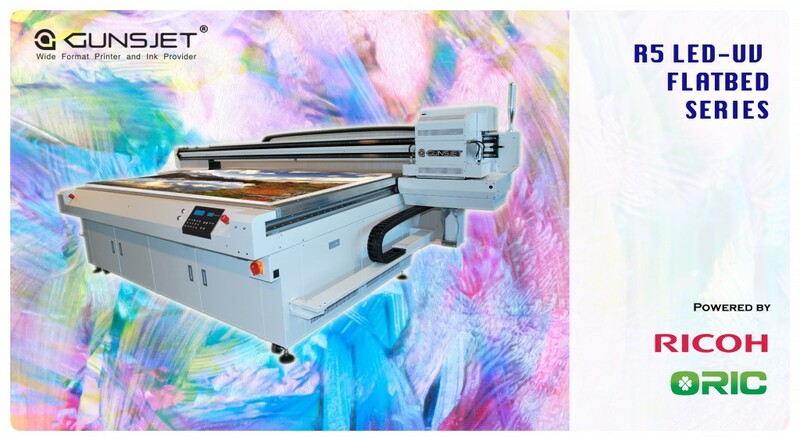 There are many unique features that you can hardly find in the market!